You may be wondering how to stop Spotify from opening on startup if the program launches every time you start your computer. Spotify is a great application, and you might use it often. But programs that launch at startup can slow down your system, and it can simply be a hassle to have to wait for them before you can get to work. 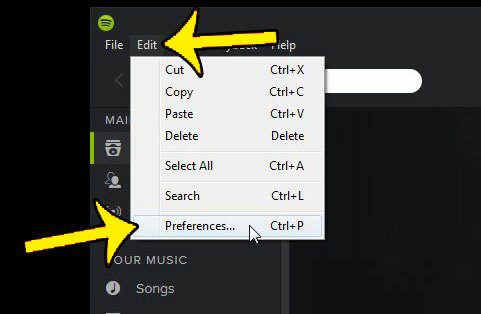 Fortunately the Spotify app has a setting that lets you take control over this action, so are are able to prevent Spotify from opening automatically when you turn on your computer. Continue below to learn how to find and use that setting. 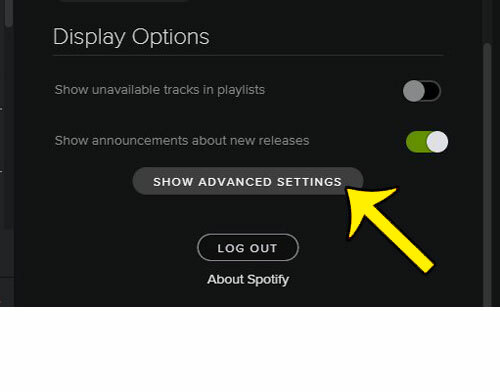 The steps outlined in this section will show you how to stop Spotify from opening on Startup. 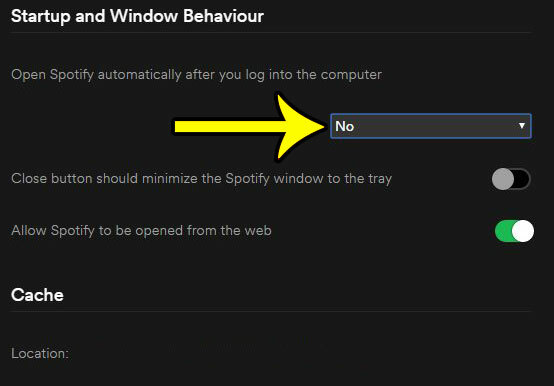 This means that, currently, the Spotify application on your computer will automatically launch whenever you turn on or restart your computer, and that you would like this behavior to stop. This guide assumes that you currently have the most recent version of Spotify installed on your computer. Step 2: Click Edit at the top of the window, then click Preferences. Step 3: Click the Show Advanced Settings button. Step 4: Scroll to the Startup and Window Behaviour section of the menu. Select the No option under Open Spotify automatically after you log into the computer. Do you need to be able to view the type of files that are in your folders in Windows 7, but you are having trouble doing so? Learn how to show file extensions in Windows 7 by adjusting one of the settings in Windows Explorer.